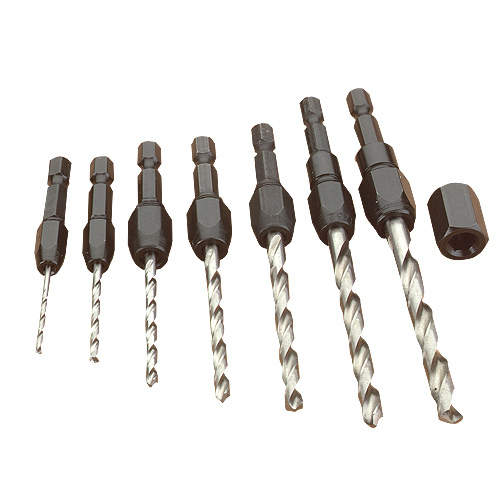 Convert your most used drill bits to quick change bits. Each collet type adapter will accept bits within a 1/64" range (from .002 larger to .15" smaller) of the size listed. 7 Pc. Set includes 1/16", 3/32", 1/8", 5/32", 3/16", 7/32", and 1/4" adapters and drill bits, plus a shank socket for easy bit replacement.